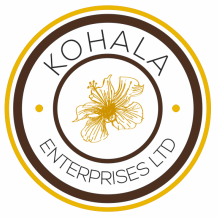 At the end of 2018, Kohala Enterprises will be changing over our website. We are building a new site for our corporate and services page after the launch of Kohala.ltd, which is aimed for investors. Be sure to check back. Don't worry, we will have a landing page operational during the changeover with links to additional information. Kohala Enterprises has just launched its new funding campaign for investors under SEC Reg D (506). Our filing was submitted on November 20, 2018. We are raising funds for working capital, business development, and acquisition projects. Interested investors should contact us for more information.